According to Turkish researchers, spearmint tea may help to control excessive hair growth in women. 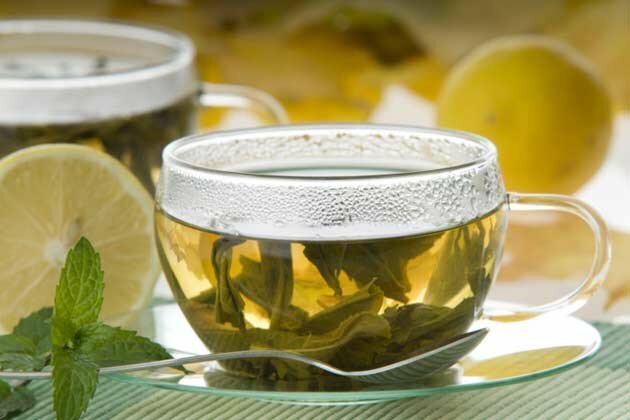 Drinking spearmint tea twice a day reduced levels of androgen or male hormones, which can cause excessive hair growth (hirsutism) on the stomach, breasts and face. Treatment for hirsutism, usually involves drugs to reduce the levels of androgen hormones in the body. Writing in Phytotherapy Research, the Turkish scientists said spearmint could be a good natural alternative therapy. Hirsutism is rarely caused by a serious illness but excess hair growth in women can cause distress or embarrassment. In some cases, hirsutism may be a result of an underlying medical disorder, such as polycystic ovary syndrome. All women produce small amounts of the androgen hormones, which includes testosterone, but it is the over production of the hormones that leads to excessive hair growth. According to the researchers, extracts of spearmint plant (Mentha spicata Labiatae) had been reported to reduce libido in men in a town called Isparta in southwest Turkey, possibly due to reduced androgen hormone levels. To look at the effects in women, 21 volunteers with hirsutism, 12 of whom had polycystic ovary syndrome, were given a cup of spearmint tea twice a day for five days in the follicular (when the ovarian follicle develops) phase of their menstrual cycle. They made the tea by pouring a cup (250ml) of boiling water over one heaped teaspoon (5g) of dried leaves, and leaving it for five to 10 minutes. The researchers found a significant decrease in free (active) testosterone in the blood and an increase in several female hormones including follicle-stimulating hormone. However, there was no decrease in overall testosterone levels, suggesting that more of the hormone was bound to protein in the bloodstream and was inactive. Spearmint could affect the metabolism of hormones such as testosterone or directly affect synthesis of androgen hormones, the researchers suggest. More work is needed to test the reliability of spearmint in treating mild hirsutism, warned lead researcher, Professor Mehmet Numan Tamer. “We now need to do further studies to test the reliability of this finding, and to see the extent to which the reduced androgens do help women with mild hirsutism,” she said.